When I first started the monthly Indie-Ana Co-Op article, the idea was to focus on the (then) burgeoning indie games market and to sift through the numerous titles in Xbox Live Indie Games. 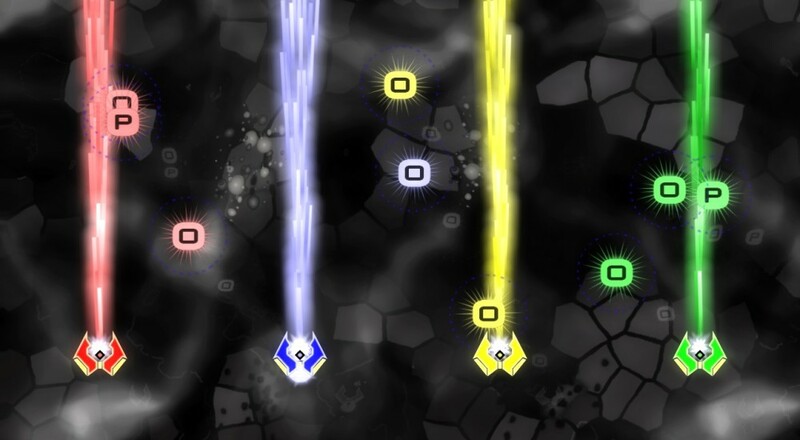 One of those titles was Score Rush, a bullet-hell shmup from Xona Games. Five years later, the game will see a release on the PlayStation 4 this Thursday with a new title, Score Rush Extended. More than just a port, the Extended version of the game carries with it a few tweaks and improvements over its original incarnation. Online leaderboards so you can compete with other groups, trophy support, and audio from the DualShock controller. There's also a new game mode, Dual Play, that lets you control two ships at once. You can even play the mode with up to four friends locally for a crazy eight ship shootfest! Score Rush Extended will be available starting June 2, 2016 on PlayStation 4. The title supports four players locally for all of its game modes. Page created in 0.8088 seconds.